Rear end collisions are the most common type of car accident in the United States. According to the National Highway Traffic Safety Administration (NHTSA) out of the 6 million car accidents that happen every year, 29% of them are rear-end accidents. In fact, it is the most common type of car accident in the U.S. Contrary to popular belief, the rear driver is not always the one responsible for the collision. Any driver that is involved in a rear-end accident may be at least partially at fault, which can complicate the claims process. If you have been injured in a rear-end car accident, you need to make sure that your legal rights are protected and that you get compensation for you injuries. Studies have shown that drivers tend not to focus on how close they are to the vehicle in front, nor to how fast they are going behind it. In addition, distracted driving has greatly increased because of all the devices that take away a driver’s attention. What to Do if You’ve Been in a Rear-End Accident? Seeking medical attention after an accident may seem like an obvious step. But many people who don’t receive life-threatening injuries, often pass off their “minor” injuries by saying that “I’m okay, it’s no big deal.” But waiting too long to go to the doctor and saying that they’re not injured, especially at the scene of the accident, actually jeopardizes their claim. In addition to seeking medical attention and being careful of what you say, it is important to attend all of your doctors appointments. If you fail to keep up with your medications and treatments, the insurer may claim that you are not really injured or are exaggerating your injuries. It’s quite common for drivers to think of a rear-end accident as nothing more than a minor fender bender. But in fact, they can be just as serious as any other type of accident. If you are in a rear-end accident, do not automatically assume your injuries are minor. The problem with some of these injuries is that they aren’t always readily apparent after a wreck. In addition, injuries like whiplash, disc injuries and other neck issues can be hard to prove. If you have been injured in a rear-end accident due to the negligence of another driver, contact The Hoffmann Law Firm, L.L.C. 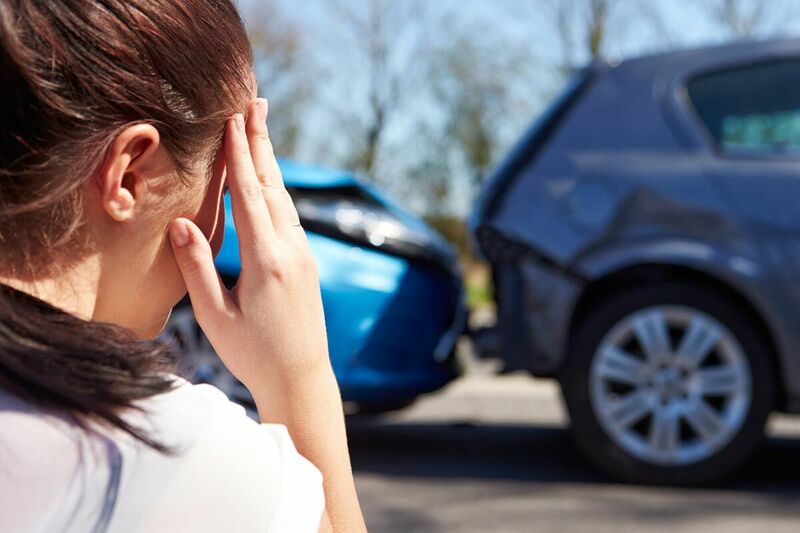 For more than 20 years we have been helping victims of car accidents protect their legal rights and get the compensation they need to move forward.